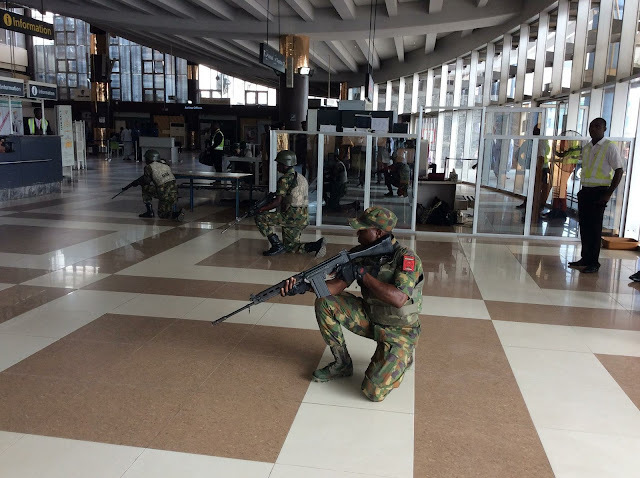 There was tension at the Maiduguri international airport in Borno state some hours ago as angry soldiers are shooting indiscriminately to protest their deployment from the state capital to another local government. The aggrieved soldiers reportedly arrived at the airport at 6pm ahead of their posting to Marte local government area. But trouble started when they regrouped and refused to board the aircraft which ought to convey them there. The soldiers who are of the special forces said after spending over four years in Maiduguri, they ought to be sent back to their families and not to be posted to face death.